I’ve thought a great deal about this lately. I’ve read discussions about the 2nd amendment and heard passionate arguments about gun control. And my thoughts have not been about laws or my rights as an American. My thoughts have been about evil in this world and the Church’s response to it. My great concern for Jesus’ people and for His Church is how we respond. When asked by Pilate right before His crucifixion if He were a king? Jesus responded, “Yes, but my Kingdom is not of this world.” It puzzles me when his followers act like it is. I’m not saying we shouldn’t get involved in legislation or the political arena but our first response to evil and sin must be a biblical one. The answer for sin is a Savior. The only cure for an evil sinful heart determined to selfishly have what it wants is a transformation through a spiritual heart transplant. Only God can change our hearts. And only when our hearts are changed can evil be conquered. There is no law that can make a man or woman choose to be loving, joyful, peaceful etc. and there is no law that can keep a man or woman from immorality hatred greed or murder. My point is: if we are the Church our first response to the evil of this world should be “the gospel.” Yes we care about laws but the only way to change the human heart is through Christ’s Spirit. It should be our mission. Our goal. Our first response and our last response. Jesus is the only answer for the evil that flows from every human heart. Including Stephen Paddock’s. Rick Burdette’s and yours. When Jesus says, “Do not judge or you too will be judged,” it’s important to understand what He meant. Look at the context of where this takes place. Jesus is saying, before you become someone else’s moral monitor, monitor yourself. But it’s a human tendency to not want to see our sin…to not want to examine our own “telephone poles” in the eye issues. It’s a lot more pleasing to our egos to sit at McDonald’s or talk on the phone about others sins. What He is saying is: “Don’t become the harsh judge of others sins…that’s not your place. Harriet, the church gossip, and self appointed monitor of the church’s morals, kept sticking her nose into other people’s business. Several members did not approve of her extra curricular activities, but feared her enough to maintain their silence. She made a mistake, however, when she accused George, a new member, of being an alcoholic after she saw his old pickup parked in front of the town’s only bar one afternoon. She emphatically told George and several others that everyone seeing it there would know what he was doing. George, a man of few words, stared at her for a moment and just turned and walked away. He didn’t explain, defend, or deny. He said nothing. Later that evening, George quietly parked his pickup in front of Harriet’s house…and left it there all night. Harriet discovered a judgmental, fault finding heart can be a tough measuring stick if equally applied. Two things can happen to religious people who know the Word of God…It can make us proud…loving to sit in Moses’ seat. We can express this knowledge with fervor. We talk about how people should live…and judge those who don’t measure up with gusto…not realizing we don’t measure up either. Or we can look into the truth of God’s Word…see His perfect holiness and realize how sinful…how broken we really are…and it humbles you. How does the Pharisee exalt himself? He does it by comparing himself to someone more sinful, and by listing all the good things he’s done. And there’s a perfect example of someone who’s unworthy right in front of Him, a tax collector. And God forgave the tax collector…and the Pharisee struts home thankful he didn’t have to deal with the trash…but man he looked religious doing it. Jesus, in Matthew Chapter 7, is talking about not being a person who claims the ability and the authority to sit in judgment of someone else. That place is reserved for God alone. When Jesus mentions that the Pharisees teach the law so you should listen…he then says that put cumbersome burdens on people…it’s an expectation that unless they’re perfect they are unworthy…ironically it’s a measuring stick they themselves can’t measure up to. But the most powerful part of this passage of scripture is…“And they won’t lift a finger to help with the burden.” Basically Jesus is saying…they believe certain people are going to Hell…and they’re glad about it. [I’ve got some gay friends and some committed Christian friends who struggle with the temptation of homosexuality. We’ve been friends for a long time…I don’t understand this temptation because it’s not something I struggle with…but they don’t struggle with my temptations either. I love them and they know it…we’ve worked together and served communities together. They know my convictions about sin and new life…but they also know I want what’s best for them. And they are still my friends. Now contrast that with individuals from the Westboro Baptist Church…there is no love. Only condemnation and a hope that “homosexuals” burn in Hell. Now you tell me…which of those sins is a speck of sawdust and which one is a telephone pole? Be careful of the measuring stick you use to gauge how big a sinner someone else is…because that same measuring stick is the one God’s gonna use to measure your sin. We need to make sure we understand the plank that’s in our eye, should be dealt with before we worry about removing the sawdust in someone else’s eye. Jesus is hilarious here…because if you realize there’s a telephone pole in your eye, you probably don’t have time to notice the sawdust in your neighbor’s…and you’re going to need help moving something that big too. Let me end today with a caution Jesus gives that requires judgment. People must have thought…Who’s He talking about…It’s a pretty insulting judgment to call someone a dog or a pig. These dogs were wild, feral, and vicious they battled the vultures for food…there was nothing loving and obedient about them and pigs are gluttons…They’ll eat anything and everything. A herd of swine will devour whatever is put before them as they stand in their own swill. My dad told me this scripture means “Don’t spin your wheels, son.” And I think that’s part of what Jesus was saying. Don’t continuously give sacred and holy things to people who treat you terribly. People who smile while you’re preaching and then rip you apart at McDonalds or on the phone. Discernment is crucial to a Christian’s walk with Christ. You must be able to discern between those who will edify you and those who will tear you into bits. The company you choose to keep has a significant impact on your life. Truth is found in the old adage birds of a feather flock together. Look at your flock, should you be flying with them or is it time to fly south? By nature many women want to please and are incredibly nurturing to the people in their life. This natural gift can be a blessing, but if given to the wrong person can be toxic to their wellbeing. I’ve known many women including myself who’ve given their pearls to the wrong person or activities and had to suffer painful periods of brokenness. When you encounter any situation or person, using a discernment from the Lord is the only way to know if you should be in that space. Don’t depend on yourself, depend on God to lead you in the right direction. Remember, everything that glitters isn’t gold. A situation or person may appear to have a nice wrapping but the contents leave little to be desired. Here’s my loose paraphrase of Matthew 7:6: “Don’t continually give your most sacred, intimate and heartfelt gifts to those who treat them and you, like a dog or pig would. They will habitually hurt you and use you…and it will tear your soul to pieces…they will continually keep you under their feet. Pray for them…pray God’s Holy Spirit will intervene…but get away…move on…Don’t spin your wheels, son! There is a huge difference between having a judgmental, critical, Pharisaical heart, and using your common sense and the Holy Spirit’s discernment to know when you should get away from a pack of dogs and a herd of pigs. Both the dry hardened critical heart and the heart that has been torn to pieces by the dogs and pigs of this world need healing. Jesus offers it to both right now. I was at our Room in the Inn ministry where we house and feed men who need some help…and Karl VanDyke, one of our Elders gave me the privilege to pray with these guys and our volunteers before the meal. And as I looked around at these men and the servants who had set up the beds, gone to get them, and prepare the meal I felt a great surge of emotion and just wanted to tell these folks: “We love you…we are so glad you are here and safe for tonight…and it’s a privilege to be here with you.” Kevin and Steve would stay and help these guys all night and in the morning, and then take them to a drop off place. And we hugged each other…not the quick get it out of the way hug guys do a lot of the time, but a real hug, with all the emotions that go with it. So when I read those words “Servants can go places Kings can’t,” Gil’s face came to mind, because when you serve you get to be where Jesus wants you to be…and you get to fall in love with the people Jesus fell in love with. The Church was never meant to be confined to a building. The church was designed by Jesus to be a mobile, agile, flexible, and tangible movement of the Spirit of God. Wherever Christians go, that’s where the Church is. We don’t go to Church…we are the Church. We assemble together to prepare and worship but our focus should always be toward Jesus and others…Upward and outward. So who are the right people to serve? How do we identify, prepare them, and release them? It doesn’t mean they were the only ones sharing the Good News…because those they had discipled were also influencing their friends and family daily with what had happened in their lives because of this message and the Holy Spirit. But the Apostles had set priorities…prayer and “the ministry of the Word.” What does this mean? They sought God’s guidance first, they approach the throne of Grace for help and they got it…they trusted God to lead and they needed to spend time with Him or they knew they were in trouble…But they also knew that 12 men and the other original follower wasn’t enough…They knew their second priority was “To make disciples, to baptize them and then teach them the words of Jesus…the ministry of the word…is the ministry of “teaching people who have decided to follow Jesus…what! He said. Jesus is the word…the Logos. I know what I know about Jesus, even to this day, because of them…because of their Holy Spirit influenced writing: “The Apostle’s Doctrine.” So if you asked me my priority at Gardenside today…Pray, Preach, and Prepare Disciples. We’ve been working on job descriptions and opening our hearts to God’s leading in our children’s and student ministry positions. One of the job descriptions we looked at included this statement under Initiative: “If you need someone to light a fire under you to get you moving or you’re the type of person who wants to be told what to do, please don’t apply. But people are what ministry is all about. If your service isn’t about people…it’s not service…it’s work…and has no eternal meaning. The Apostles became aware of a need for administration and structure. A complaint is lodge that widows were being left out during the distribution of food…Hellenistic Jews complained that the Hebraic Jews were showing favoritism. We don’t know if this is true or not…but the Apostles develop a plan. “Among” is an important word. These servants weren’t Sunday morning attenders. These servants were “koinonia” life sharing individuals. The complainers weren’t chosen to fix the problem…Spirit filled servants were chosen to lead this ministry so disciples could be made…and widows fed. 2. Turn the responsibility over to them. I promise you these 7 men didn’t do this ministry to the widows by themselves…they made sure it was done right…and enlisted the right people to help. It worked because they were among them, respected and most of all Spirit led…and those who would follow them knew it. The Apostles didn’t micro-manage, they gave the authority and support that was needed. What was the result? God is always the one who gives the increase…and as the leaders sought His guidance and His Word, and servants took their responsibility seriously…God added. Maybe you’ve felt like you’ve had your day…or the risk to serve isn’t worth the possibility of criticism. Maybe you’re like me…imperfect and broken…but the Holy Spirit still calls you back…and He calls you to love and serve people, because that’s what the Spirit of Jesus will always do…if we listen. If that is the case…listen to your heart. Do you remember Babe Ruth? Year after year, Babe Ruth was the idol of sports fans. Gradually, age began to take it’s toll and the Yankees traded him to the Braves. One of the last games Ruth played was in Cincinnati. The Babe was not at his best. He fumbled the ball twice. He made other errors that allowed the opponent to get five runs in one inning. The Babe walked slowly dejectedly toward the dugout, his chin slumped down on his chest. An enormous storm of boos and catcalls came from the stands. People actually shook their fists at him. It was an incredible humiliation for one so great. Then a little boy with tears streaming down his cheeks leaped over the railing. He ran out, sobbing, and threw his arms around the legs of the great athlete. The Babe gently picked him up and hugged him tightly. Then he set him down, patting him gently on the head. He took the little fellow’s hand and the two of them started toward the dugout. The catcalls and the jeering stopped. The ballpark was silent. Then the crowd burst into a tumultuous cheer. People wiped tears away. Ralph Waldo Emerson summed up the emotion of the moment: “What lies behind us, and what lies before us, are small matters compared to what lies within us. This story of the Babe shows him reaching out in love, amid all the criticism, because something great inside him had to come out. If you are a child of God, it’s because you have been born again by the Holy Spirit. He lives in you…and because of that, something great needs to come out. And that something great will always be loving and serving others. Here’s the question….what kind of fruit would you like to eat? Fresh, juicy, vitamin filled, or rotten, nasty and filled with parasites? Easy answer right? I’ll take the first one!!!! 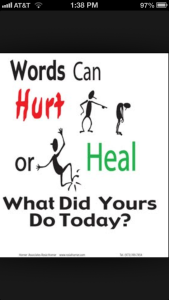 But Solomon says…our words, our conversation daily are like those two choices…and both we, and the people we serve the “fruit” of our words to will either be strengthened or poisoned. From the time I was little I loved wearing a uniform. I played little league and peewee football…I would shoot for hours a day in our driveway pretending to be Jimmy Dan Connor…or Goose Givens or Kyle Macey…I even wore the same droopy socks he wore so I could pull them up at the free throw line before I would dribble 3 times and shoot. A man named Jack Williams was my basketball coach as I grew up…I’ll never forget in 1971 he bought us new black uniforms with white stripes and shiny satin shorts (and man were they short!) But I’d lay them out the night before with my Chuck Taylor converse tennis shoes so I could be ready to play on Saturday morning…I’ve got a picture…Want to see it? I love uniforms…I wore them in High School and in College…it was easy to tell whose team you played on…all you had to do was look at the uniforms…What you wore would quickly identify if you played for Southland, Lafayette or Johnson Bible College…uniforms make identifying the players easy…That uniform connects you to the other players on your team. So, what about the uniform we as Christians should wear that quickly identifies who we play for…what about the uniform we wear that connects us to our teammates? What should Christians wear to worship the King of Kings and to impact the world? This sermon is not about proper attire for Church attendance. God doesn’t care as much as we do about dress as long as it’s modest and decent. People love to judge by the outer appearance…God looks at the heart according to 1 Samuel 16:7. This sermon is about what a Christ centered life should look like, not just on Sunday mornings but every single day. When Romans 13:14 tells us to clothe ourselves with Christ and to not think about pleasing the flesh…it starts with the word “rather.” That word means “the opposite.” Like “I’d rather have the porterhouse than the vegetable plate. I’d rather you give me a hug than hit me in the face…I’d rather eat nails than pull for Duke basketball to win. So what’s the opposite of wearing Christ in our daily lives? Well, Jesus is the “light of the world.” So the opposite of light is darkness…The Apostle Paul says…“put aside the deeds of darkness and put on the Armor of Light”…let us behave decently as in the daytime…and then he lists 6 characteristics of nighttime clothes: carousing, drunkenness, sexual immorality, debauchery, dissension and jealousy. My heart hurts for these families and for the officers responding…but I believe there is a common denominator…and it’s Satan, the Evil One, the god of this world…the liar, the thief and the murderer. He would tell us that the pain can be relieved with a pill, a shot, a bottle, a sexual conquest, and it does numb the pain temporarily…but sets us on a path towards death. Instead of hope we find jealousy…we find dissension and war…the connections we have to people are selfish and fragile…much like the prodigal son’s relationships. They last only so long as the money, or the party lasts…and then we find ourselves in the pig sty of despair. And folks, it’s not just the addict…it’s the business man, the housewife, the student, it’s the man or woman who tries to find the spiritual answers for emptiness in temporary things. In our text Paul calls it “The Armor of Light.” Folks, you don’t put on armor to go to an aromatherapy session! You put on armor because you’re involved in a battle…you clothe yourself with Christ in your daily lives so you can preach Him and not yourself. Way too many of God’s people have gone to sleep in their faith and slumber peacefully unaware of the war battling around them for souls…or use the armor of God to fight with other Christians…or refuse to put off the deeds of darkness…and wear the same clothing as the enemy…There are no undercover Christians. Wake up…the night is almost over and the day of Christ’s return is almost here! Worship is a lifestyle not a one hour event. I don’t care if you wear an Armani suit and tie on Sunday mornings, or a t-shirt and jeans…but it is vital that you wear Christ…It’s absolutely essential that you’ve put on the Armor of Light so that you truly can worship Him and fight the darkness…It’s the uniform that clearly identifies whose team we are on…and we’d better play to win because the stakes are eternal. Let me end with one final challenge from our text…If we are to be connected to Jesus and love others…. I don’t know about you all…but changing the way I think sounds like a tough proposition. Left to my own devices I can think some pretty mean, selfish and hurtful things. The guy who pulls out in front of me is an “idiot.” The woman who calls to complain about my t-shirt is a “pharisee.” I can lay awake in bed thinking about how people have hurt me…or about how I can get even…It’s really easy for me…to think about me. Is that true for you as well? I bet it is…every one of us is trapped in a fallen, sinful body…and our minds are fallen, sinful as well…Selfishness and self centeredness are our spiritual gifts from Adam and Eve. Every day I find it’s easier to worship me than Him…or it comes more naturally at least. Before Christ it was all I did…and even after my baptism and new birth it’s so easy to slip back into this way of thinking… The struggle is real! For me to wear Christ in my daily worship…to fight the darkness with the armor of light…3 things have to happen. I have to admit I’m powerless to do it on my own…I cannot clean up my own thoughts…I cannot overpower the evil one with my own strength…I have to humble myself before God. The verses that proceed that “therefore” instruct me that God is all powerful…all wise…and He has a plan…He has a path for me. “Therefore” I need to surrender my body…my thoughts…my life to Him in worship every single day…and as I do I will understand His plan and my purpose…His Spirit will transform my mind..He will make it new. When God’s Word says “To continue to work out our salvation with fear and trembling” in Phil. 2:12 it’s not telling us to earn our salvation with works…it’s telling us to surrender daily…it’s our part of transformation…don’t take it for granted…work at it…with fear…with trembling…it’s that important. I have to spend time with God in His Word and with prayer. God’s Word is living and active…It helps me as much on Monday as it does on Sunday. But many of us treat God’s Word as if it’s archaic and obsolete. It’s not…It’s powerful for everything we deal with…it connects us to Him and to others who follow His Word. He speaks to us through His Word…and longs for us to approach His throne in prayer. By the way…we’re told that the Holy Spirit groans for us when we don’t know how to pray…and that Jesus is at the Father’s right hand interceding for us! If you think Jesus put on His good tunic to head into the synagogue…you’d be sorely mistaken…nothing in His appearance…that we should desire Him. What connects us…the heart of Jesus and gentleness and humility are some amazing uniforms. Merry Christmas to each and everyone of you. I pray that the incarnation of Jesus will not just be something that you sing about, but it will be something that invades your life each and everyday. I pray that Immanuel, “God with us,” will be the truth in every one of your experiences and circumstances. And may the gift of His presence guard you from this materialistic self serving world….because the only true black Friday took place on a hill called Calvary over 2,000 years ago. I have a picture that hangs in my office that was given to me by a wonderful Christian woman after her husband’s funeral. It is an amazing piece of art done by a Korean artist named Elder Rhee. It took him over two years to complete. He meticulously drew this picture by hand with shaded letters. Its John’s Gospel written by hand. The letters are drawn, some thick, some thin, some light, some darker so they bring out a picture of Christ. The image of Christ isn’t imposed onto the words…but the words reveal Jesus. The words have become flesh…The words have become a person. As E. Stanley Jones said, “Out of the gospels arises the Gospel. Jesus is the Gospel, the Gospel lies in His person. He did not come to bring the Good News. HE IS HE GOOD NEWS! This is The Real Christmas story…. But at Creation Jesus was there. He is the Logos…the word God used to make everything. And it is through Jesus, the Logos, the Word of God that all of creation was made. Do you know how God made everything in creation? It’s an important question. And the answer is: He spoke everything into creation. He spoke…and it was! He said, “Let there be…” and it came to be. The Hebrew Word for create (Bara) is only used in relation to God…Because only God can make something out of nothing. At creation’s beginning the world was formless, empty and dark. God filled, God formed, God enlightened by speaking “Let there be,” and the world took shape, and the darkness was replaced with light. John lets us know that Jesus, the Word of creation brought this light and life. He is the catalyst of all creation. John records that God has always had the Word with Him…and that Word was Him. Jesus wasn’t created…He is and always has been and will always be God. The Creator of all creation becomes one of His creation…Amazing!!! Not only did Jesus create all things, but all of creation is His inheritance. The Greek word for firstborn here is “prototokos” and it’s and adjective, not a noun. It isn’t referring to Jesus’ physical birth it is referring to Jesus’ position to inherit creation…In Jewish law, the firstborn inherited a double portion of the father’s estate. This word has nothing to do with Jesus being “created” as some would suggest out of context…It has to do with His authority…His supremacy…His inheritance. In fact in Colossians 2:9 we read, “For in Christ all the fullness of the deity lives in bodily form, and in Christ you have been brought to fullness. He is the head over every power and authority. This World was made through Jesus – and everything in it, including you and me. We were created “for Him” but something horrible messed up this relationship. Sin brought darkness and death into a creation that was created for light and life. Jesus created both of those in creation as the Word of God. Which is greater? Light or darkness? LIGHT! There is no darkness so dark that a single match can’t penetrate it. Sin brings a different kind of darkness…Sin brings selfishness…self-centeredness…It darkens our souls. Instead of welcoming and worshiping the Son, we hid from Him, we go our own way…we reject His authority over creation…over us. So once again, Jesus would come to penetrate the darkness. This time it wouldn’t be at creation…it would be to reclaim His inheritance, one that the prince of darkness was trying to steal. And since it was primarily people that were of most importance…Kidnap. The word “redeem (apolutrosis)” means to pay the ransom…to buy back. [Have you ever lost one of your children or grandchildren, even momentarily at a store, or a park, or in a crowd? Maybe you’ve told them a million times not to wander off or leave your side…but they do…and all of a sudden, they’re gone. And at the realization of what’s happened causes fear and dread to flood your soul. You go nuts…you get security…you frantically search the clothes racks…you don’t quit until you get your child back. No! But what if it was…If someone took Xzavier, Peyton, Kanaan, or Brix and said “We want 100 million dollars for their return”…What would I do? I don’t have 100 million, nor do I have the resources to get it…no one here this morning has those resources. If I combined every resource I own it would be so insignificant, the kidnappers would laugh at me. I would be desperate and without hope. Sin entered creation of God, all creation came under it’s curse…It had been kidnapped. The ransom demanded for sin…is death “The Wages (the ransom) of sin is death.” But how do you or I pay that ransom on our own. It’s a ransom request that is much greater than 100 million dollars. How do sinners pay for their sin? It seems hopeless. What was God the Father to do…say “too bad for mankind?” What was Jesus to do for His inheritance…first give up on it? No. 1 Peter 1:20 tells us “Jesus was chosen before the creation of the world to redeem us. The payment…His precious blood. He would die as the Lamb of God, without blemish or defect…He would buy us back. In the fourth year of his layoff from his job, Dad gave mom a dishwasher for Christmas. “For one year I will wash all of the dirty dishes in this household. I think feet are even tougher to wash than dishes…but God did…Jesus did…He really did. It’s real…it’s somber…this conversation is one of preparation…Jesus is saying “goodbye.” They know it…you can feel it. When this advocate comes, whom I will send to you from the Father – He will testify about me…And you must also testify for you have been with me from the beginning. He’s giving them a heads up about what is about to happen…As the world has hated Him…it will also hate them…and He doesn’t want them to lose hope and fall away. Its like hearing someone say, “It’ll be OK” in the midst of a circumstance filled with doubt and fear…It doesn’t feel like it will be OK and to hear “It is for your good that I’m going away”…its even harder! But it was wasn’t it? There would be an arrest, a scattering of the disciples in fear…a crucifixion and burial…and then a glorious, victorious resurrection. As we read earlier the book of Acts tells us Jesus prepared his disciples and after His resurrection He appeared to them over a period of 40 days. The Bible says that Jesus made a number of appearances after His death. They were to a number of different people over a forty day period. The Bible specifically says that on Easter Sunday Jesus appeared to Mary Magdalene, the women that came to Jesus’ tomb (Mary the Mother of James, Salome, and Joanna), Peter, and two disciples on the Emmaus road. He also appeared to the remainder of the Twelve Disciples with Thomas absent. Later he appeared to them with Thomas present. There was also an appearance to seven disciples on the Sea of Galilee. On another occasion he appeared to over five hundred people at the same time. There is also an appearance to James. Finally Jesus appeared to Saul of Tarsus – the man who became the Apostle Paul. These appearances convinced His disciples, beyond any doubt, that He had risen from the dead. After Jesus’ appearances after the resurrection, after HIs disciples and followers were firmly convinced He was alive don’t you believe they wanted to tell everybody? You betchya! So why wait? Well, they’d proven what they could do in their own strength and their own power…And their own understanding of God’s plan. Religion focuses on doing things so people can see how “religious” you are. Jesus said, “The coming of the Kingdom of God is not something that can be observed.” he told one of those Pharisees named Nicodemus “No one can see the Kingdom of God unless they are born again…the Spirit gives birth to Spirit…(Literally our spirit (soul) is born from above by God’s Spirit (the Holy Spirit. This is the promise of power that the disciples were to wait to receive…and it’s the only power that will transform our spiritual observations. A violent wind filled the whole house…something like a “tongue of fire” seemed to rest on each of them…and they began to speak in other tongues (languages) as the Spirit enabled them. Remember Jesus’ plan for them is to be His witnesses…they were to testify…speak about all He’d taught them…all they’d seen…and the Holy Spirit would help them not only remember, but empower them to do it with a crowd gathered from every nation under the sun. What does it mean? If you go back to our text in Acts 1 verse 8 you’ll see exactly what it means. Religion gives you a partnership with a book of rules and etiquette. Jesus promises a partnership with His Spirit…One is for observation…and one is for new birth and a resurrected life. 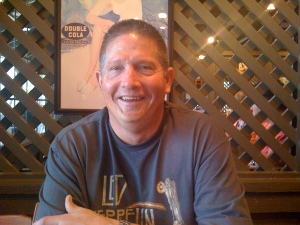 I didn’t become part of the Church because it would look good and guarantee my ticket to heaven…I ran to my family…I needed to share my life, and it’s struggles and needs with others going through the same thing…I needed to grow because I was just a baby…and the Holy Spirit fed me…He used amazing people to strengthen and prepare me…and even then I wanted to tell people, my old friends and family what was happening…some thought I was crazy…some still do…but Jesus saved me and filled me, and I was burdened for them. I still am. Ecclesiastes starts out “The words of the teacher.” The Hebrew word that’s used there is “Koheleth.” The NIV translates it “teacher.” “The KJV and New American Standard translate it “Preacher.” Koheleth comes from the word “Gathering” so both translations come from One who leads the “Gathering” and both are pretty true to the original meaning. Solomon is the Son of the King David…the 3rd King of Israel, and he writes these words in Jerusalem…the pulpit for the Jewish people…with the temple He’s built to honor God in the background. The phrase “this preacher” uses over and over again “meaningless, meaningless…utterly meaningless. Everything is meaningless! Everything he built…every passion he indulged…everything he possessed…worthless. As we talk about our mission here on earth we will always be tempted by Satan’s carrot on a stick to find self fulfillment…self satisfaction and comfort…He’ll say, “Chase this…this is solid…this is what you want…and so we do, and only discover too late…it’s the wind…and we’ve lost a lot…and gained nothing. And God calls…“Come to me all who are weary and burdened with this life.” Satan the thief has only come to kill, steal and destroy your life and I have come to give you abundant life…That abundant life means “the end of me” and the resurrection of Christ who lives in me. The meaningless now has meaning…my life now has a purpose…and it’s not about self-fulfillment…now it’s about Christ fulfillment. Here are the questions…who do you work for who do you work with…and why? Anyone here that doesn’t think these are tragically sad words…There was a man all alone? I hear Three Dog Night singing in the back of my head, “One is the loneliest number there’s ever been.” If there is no one to work for…no one to work with…no one to share your life with and to share your life for…and you spend it only on yourself…what meaning is there…it’s a miserable business. to do great thing for himself. to do great things with him. to do great things for him. into the position to do great things without him. YOU are a hero, a legend, a model, and mentor. Thank you for the LEGACY you leave behind. The New Testament Church was never a place you went to get what you want…It was always the family of God you shared your life with…a resurrected life through the Holy Spirit…The family’s focus was always about those who were broken and in need…especially those who needed salvation. The fellowship, called “Koinonia” existed not because of “similar likes and preferences.” It existed because each family member thought of others before themselves. The Lord added to their number daily those who were being saved because each member took the “Great Commission” of Christ seriously…and personally…They didn’t bring their friends and family to the Apostles so that they could share the Good News and teach them what it meant to follow Christ…They shared the Good News…They taught their friends, family and neighbors. They partnered with God and with each other…no miserable life here…They had joy in the will of God, their was gladness as the family grew…and they were sincere in their sin and brokenness. This was strength in numbers…no clergy and laity here….Just a family with Godly leaders and brothers and sisters following their Father. What are the benefits of sharing life like this as God planned? II. WHY ARE TWO BETTER THAN ONE? Churches get healthy when people move from the sidelines into the game. When each member gets involved and serves as the Holy Spirit enables them…and sometimes just because it needs to be done…It’s an attitude of willingness…because God has called you to serve and you say yes. We all fall down…We all get down. Physically, emotionally, spiritually…and where do you go if you’ve not shared your life with people. Do you expect them to care because it’s their duty? Do you expect the ministers to “take care of it?” Even if they don’t know about it…or you’ve been so peripheral in your relationship that they don’t really know you? Jesus said, “Blessed are the merciful for they shall receive mercy.” (Matt. 5:7) Those who are loving and kind in their relationships will tell you…when they fall…when they’re down…the people they’ve shown mercy to…or many of them…pick them up. There’s nothing improper here…it’s the illustration of 2 or more soldiers camping in the enemies territory and it’s winter! It’s an illustration of encouragement. How are you going to survive in the winter of battle if you lie down by yourself? The church is not a bunch of individuals that get together on a Sunday morning…it is a family, it’s a “band of brothers” and a “band of sisters” involved in a battle for eternity. She asked the class to do it along with her – obviously not thinking about his son’s inability to pull this exercise off. Then it dawned on her that the boy wouldn’t be able to join in. Before she could do anything about it, the little boy next to his son, a friend of his from the time they were babies, reached out his left hand and said, “let’s do it together.” The two boys proceeded to join their hands together to make the church and the steeple. Frazee says, “This hand exercise should never be done again by and individual because the church is not a collection of individuals, but the one body of Christ. Let’s pray together as one.